Steven J. Torres, a partner at Torres, Scammon & Day, was named to the 2015 Massachusetts Super Lawyers list in the area of Business Litigation. Steven was also named to the Super Lawyers list last year. 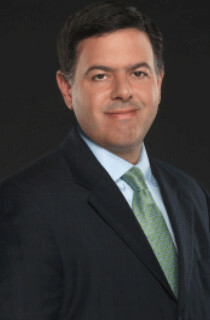 Steven represents companies and individuals in business disputes and litigation. He has more than fifteen years of experience representing clients through all phases of the litigation process, including jury trials, appellate practice, arbitrations, mediations and administrative proceedings. Much of his practice involves litigating complex commercial disputes that often include breaches of contract, shareholder rights, breaches of fiduciary duty, fraud, unfair business practices, insurance coverage issues, restrictive covenants in employment agreements, the Uniform Commercial Code, construction and products liability. Starting in late January 2016, Steven will serve as President of the Chartered Property Casualty Underwriters (CPCU) Society’s Boston Chapter. Super Lawyers selections are made annually using a patented multiphase process. Candidates undergo a rigorous evaluation, including peer recognition, professional achievement and third party research. Only five percent of the lawyers in Massachusetts were selected to the 2015 Super Lawyers list. All of Torres, Scammon & Day’s partners were named to the 2015 Super Lawyers list.